Minister Gigaba makes it onto global p0rn streaming site. The video, which was leaked onto social media a week ago shows the minister playing with himself while saying: “imagine this in your mouth”. The minister’s video has amassed over 20,000 views thus far. This version is 34 seconds long, unlike the 6-second version that was initially distributed on social media and via other messaging platforms. 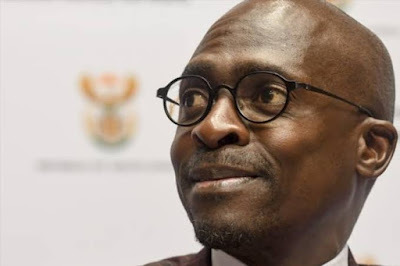 Gigaba is in talks with the site’s administration to have the video taken down but as of today, November 5, the video was still on the website after being uploaded six days ago. Shortly after the leak, the minister took to social media to apologize for the video and stated that he was working to bring those who leaked it to book. Speaking to eNCA’s Samkele Maseko in an exclusive interview, Gigaba reiterated that his phone is subject to hacking on a daily basis and added that he has to change his passwords almost daily. “I have reports which have been submitted to the state security agency to that effect and I am busy compiling an audit of all the instances where there have been failed attempts to hack my phone and my emails, including Friday before last. And in some instances, I’ve got proof and names of people who have been involved in doing this,” explained Gigaba. He went on to add that he has every right to be romantic with his wife when he communicates with her and that he is not at fault because he was hacked.